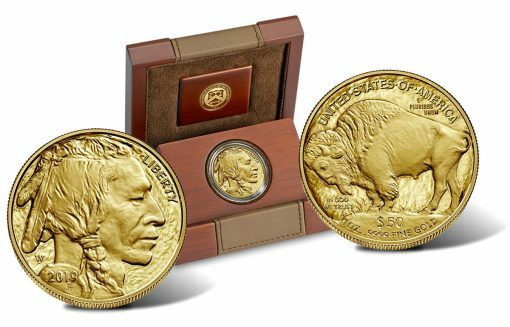 Beginning at noon EDT today, April 12, collectors can order the annually issued proof $50 American Buffalo 1-ounce gold coin for $1,660. The 2019-W $50 Proof American Buffalo Gold Coin ships in a hardwood box with a matte finish and a leather-like inset. It is accompanied by a Certificate of Authenticity. 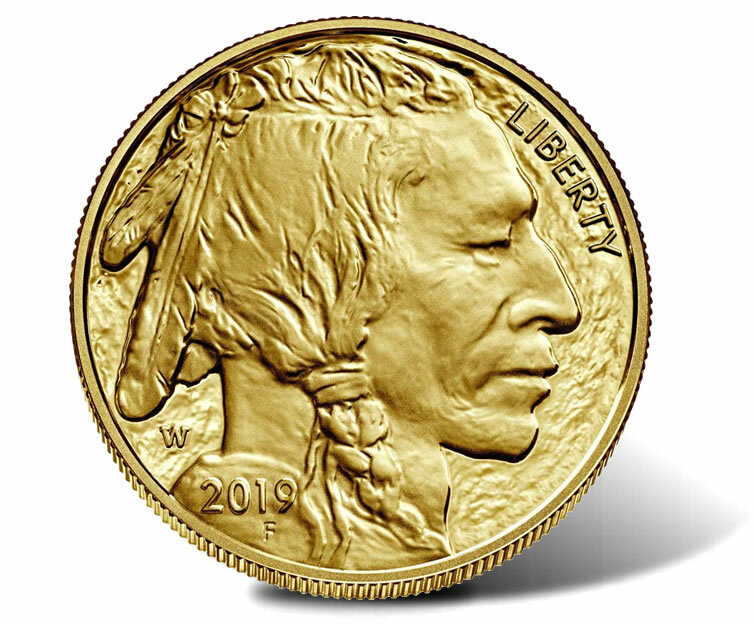 Produced in the United States Mint at West Point, the .9999 fine 24-karat gold piece is the collectible version of the investment-grade American Buffalo Gold Bullion Coin. "Designs by James Earle Fraser, which appear on the 5-cent coin commonly referred to as the ‘Buffalo nickel’ or the ‘1913 Type 1’." These designs continue to appear on both sets of gold coins. Along with the 1-ounce proof and bullion coins, the U.S. Mint has issued other variations of the American Gold Buffalo to include fractional editions and a special reverse proof to celebrate the 100th anniversary of the James Earle Fraser designs. Appearing on the coin’s obverse (heads side) is a right-facing representation of a Native American. The image by James Earle Fraser is said to be taken from a composite of three different individuals. Inscriptions include "LIBERTY" and "2019." In addition, below the year is Fraser’s "F" initial and above it is the West Point’s "W’ mintmark. On the reverse (tails side) is Fraser’s depiction of an American Buffalo (bison), which also gives the coin series its name. Inscriptions read: "UNITED STATES OF AMERICA," "E PLURIBUS UNUM," "IN GOD WE TRUST," "$50," "1 OZ.," and ".9999 FINE GOLD. 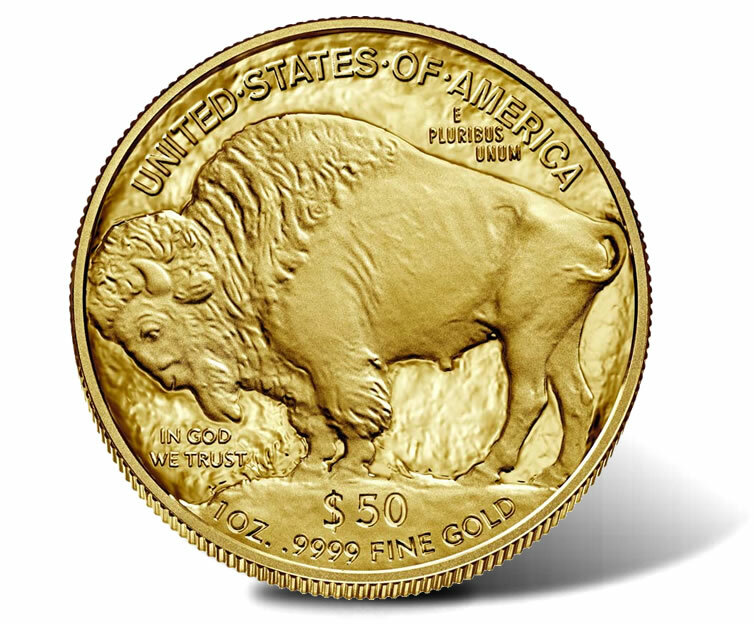 The 2019-W $50 Proof American Buffalo Gold Coin may be ordered directly from the U.S. Mint via its webpage dedicated to gold coins, or by calling 1-800-USA-MINT (872-6468). Its price of $1,660 will change over time, possibly weekly. The Mint’s gold coins are tied to its pricing matrix and gold market conditions.